The rumored couple was spotted in an Instagram post from Kean Cipriano last Wednesday. Zanjoe Marudo brought along his rumored girlfriend, 19-year-old surfer-model Josie Prendergast, in a group trip to Hong Kong with friends earlier this week. 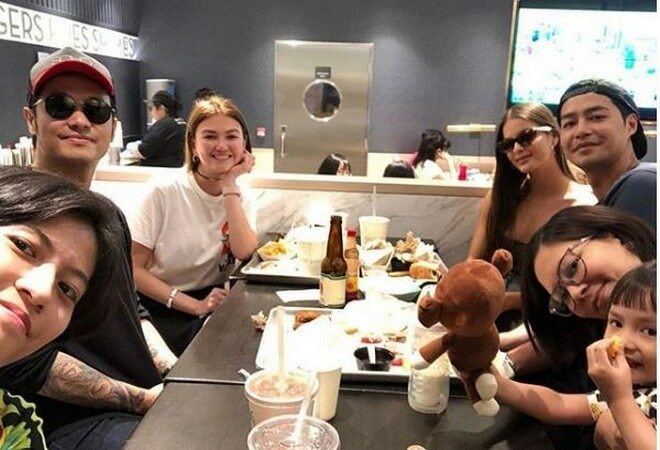 In an Instagram post from Kean Cipriano last Wednesday, Zanjoe and Josie were spotted sitting beside each other as the group - also joined by Angelica Panganiban and Chynna Ortaleza - dined at a famous restaurant chain. He wrote, "Tambay at burger. Charap!" Based on reports, this was the fourth time that the rumored couple had been seen together. They were last spotted in a dinner with talent handler Monch Navales of Star Magic in February, and were also rumored to have spent the holidays together in Siargao, where the Filipino-Scottish beauty is currently based. The two have been romantically linked since mid of 2018. However, both have yet to confirm their true relationship status as of this writing.